All of the 80 Ukrainian troops holed up at a Lugansk military base have surrendered to self-defense forces who stormed the military installation hosting the Ukrainian National Guard. The initial assault lasted for 10-15 minutes with almost unceasing gunfire, witnesses say. A video reportedly filmed near the attacked facility has appeared on YouTube. There are conflicting reports on casualties and the outcome of the attack, which took place on the territory of an Air Force academy. 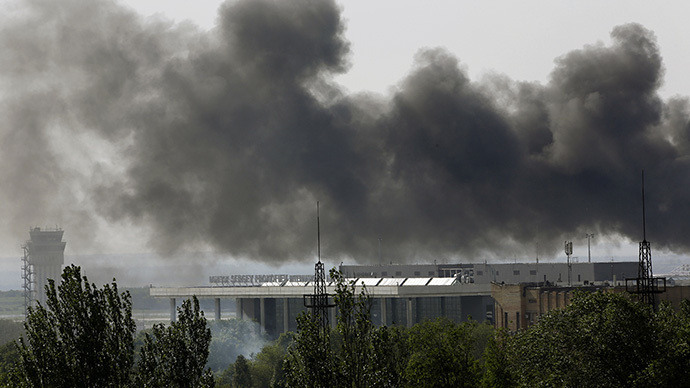 Earlier, at least one Ukrainian soldier was reported to be seriously injured. According to RT’s Paula Slier, one anti-government protester was killed in the gunfight and there have been several injures on both sides. 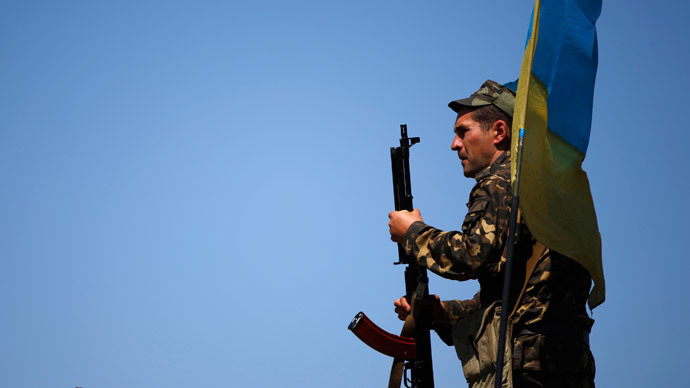 All of the 80 Ukrainian soldiers holed up at the base surrendered, reported RIA Novosti. The servicemen were escorted out of the building as the other side applauded. Self-defense commander Gennady Tsepkalo also confirmed to journalists that all troops have surrendered. He promised that all soldiers will be sent home shortly. It had earlier been reported that only ten troops surrendered and others barricaded themselves inside the base, with some of the soldiers saying that their captain had forbidden them from surrendering. 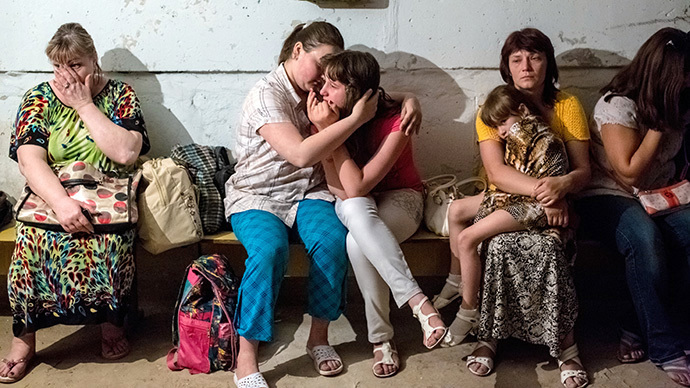 These events come as Kiev has intensified military operations in eastern Ukraine. 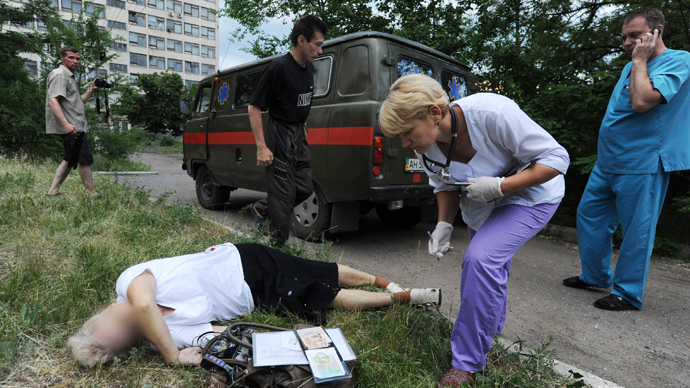 On Wednesday, Kiev mortar shells hit a school and a kindergarten in Slavyansk, injuring at least nine civilians.